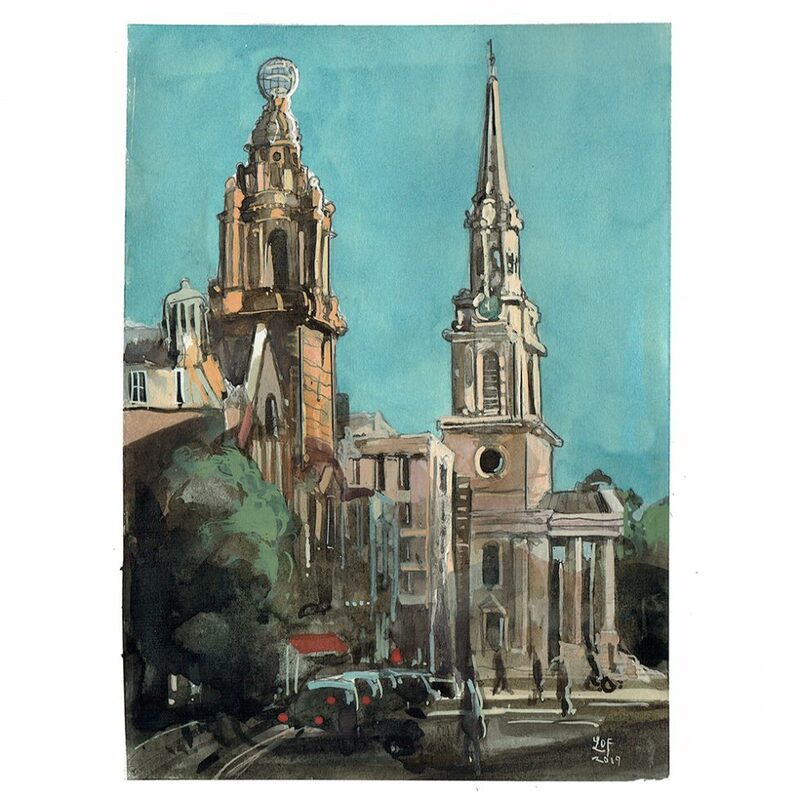 This watercolour preparation study of St Martins Lane 13cm x 18cm, signed, and mounted on acid-free card. The newsletter will be sent out on the 28th March 2019. I look forward to your sign up in the box on this page. The street was first built up in 1610 by Robert Cecil, 1st Earl of Salisbury who was a Privy Councillor and general fixer for both Elizabeth I, and James I. For services rendered he was granted five acres of land on the street’s west side and built it all from there. It was originally known as West Church Lane; the current name dates from 1618. A painting of St Martin’s lane London in a winter sunset. In front is The London Coliseum Opened in 1904 and designed by Frank Matcham. Beyond is St Martin-in-the-Fields which sits in Trafalgar Square. St Martin’s opened in 1726 and was designed by James Gibbs. Looking forward to receiving your newsletter Mr Liam. Love your work. Il try not to let you down! You’ve got a great talent in painting! Congratulations!